At NLC Solutions, we provide personalized cleaning programs for a great array of businesses in Carteret. We have been in the business for more than 30 years and we are experienced in providing top notch commercial cleaning services. Whether you are looking to hire a commercial cleaning service provider for your condo complex or auto dealership, we have got your back. Carteret is a borough located in Middlesex County. It was incorporated in 1906 and has a population of over 22,800. Two prominent features of Carteret include Joseph Medwick Park, which is a greenway of parkland that is situated along the banks of the river, and the Rahway River. The latter forms the northern boundary of the borough. Carteret also has over 59 miles of roadways. The New Jersey Turnpike (Interstate 95) is the only major road that passes through Carteret. Floor Care in Carteret: Clean floors can turn a customer's first impression of your business from average to stellar; let us impress you with our comprehensive floor care solutions! Industrial Cleaning Services in Carteret:Why compromise safety when you can get NLC Solutions to clean the exterior of your windows? Our cleaning specialists utilize state-of-the-art equipment to get industrial cleaning done in the best way possible. Green Cleaning Services in Carteret:NLC Solutions is an advocate of eco-friendly cleaning materials and techniques. We care about the environment and your business! Cleaning Supplies in Carteret:Need to restock cleaning supplies for your facility? Our personnel proactively take stock of your janitorial supplies inventory so that you can always keep your business premises clean. Want to know more about our cleaning expertise in Carteret? 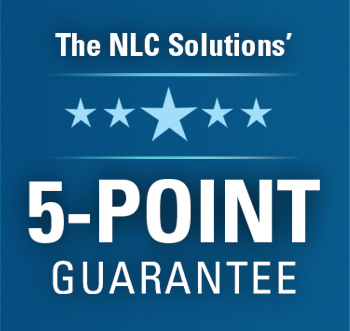 Call us at (908) 753-3900 or email us at info@nlcsolutions.com today!